It’s important that those who were sickened by the E.coli outbreak protect their legal rights and understand the decisions available to them. Our firm can help navigate victims with their options. 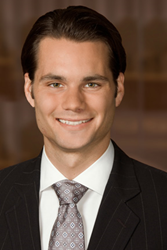 Attorney Brian L. Salvi of the Chicago law firm Salvi, Schostok & Pritchard filed a lawsuit in Cook County Circuit Court Monday on behalf of Pamela Hollins, a Hazel Crest woman who was hospitalized after eating food from Carbon Live Fire Mexican Grill in June (300 W. 26th Street). According to court documents, on June 23, 2016, Pamela Hollins, a longtime neonatal nurse, ordered a meal online from Carbon Live Fire Mexican Grill. Days after consuming chicken and vegetable quesadillas, Ms. Hollins was rushed to a local hospital after continued vomiting, diarrhea and blood in her stool. Court documents state doctors at the hospital found a Shiga toxin-producing E.coli in Ms. Hollins’ stool, the same strain of E.coli that the Chicago Department of Public Health had found at Carbon Live Fire Mexican Grill. Ms. Hollins spent six days in the hospital and has not returned to work since falling ill, according to the court documents. On Monday, July 11, Salvi, Schostok & Pritchard filed a lawsuit against the restaurant in Cook County Circuit Court. (PAMELA HOLLINS, Plaintiff, vs. CARBON ON 26TH, LLC, an Illinois Limited Liability Company d/b/a CARBON LIVE FIRE MEXICAN GRILL. Case No. 2016 L 006821) Attorneys for the Plaintiff allege that the restaurant’s negligence lead Ms. Hollins to become infected with Shiga toxin-producing E.coli, a potentially deadly pathogen. The lawsuit further alleges strict liability and breach of warranty for the contaminated food sold to Ms. Hollins. For more information, or to schedule an interview, please contact Marcie Mangan at (312)-372-1227 or mmangan(at)salvilaw.com.